Can you introduce us to your label, Linogirl. 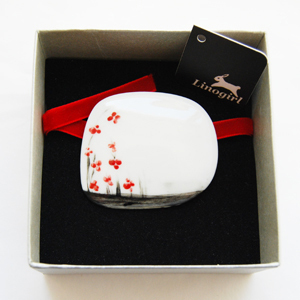 Linogirl hand forms porcelain clay, creating one-off works of wearable art. Each of the original works tell a small part of the story Linogirl and the black forest. The works are created using various techniques and materials which include under-glazes, glazes, sgraffito and water etching. These original works are used to create the limited edition prints and gift cards. How was Linogirl started and how has the journey been in developing your label. I had made a small cat pendant whilst helping a good friend of mine by joining in a ceramics class to make up class numbers. Over the years I had many people asking me where I got my pendant from…. 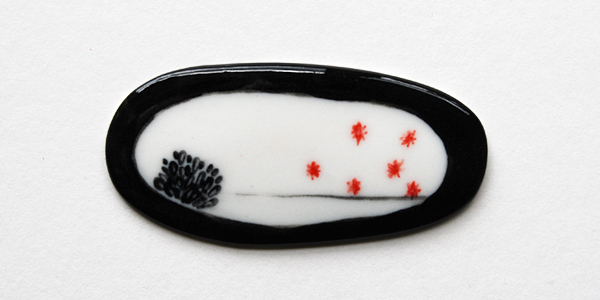 One fine day I was in browsing in a small shop in Hepburn Springs Vic and the owner made a comment on the cat pendant. After a brief conversation she asked if I would like to make more pendants as she would love to sell them in her shop. It took me a little while to take her up on her ofter but when I did I found that they sold quiet quickly, so I decided to make more as I really enjoyed the whole process. It was then that I decided to try and get a stall at the Rose st Artist market. 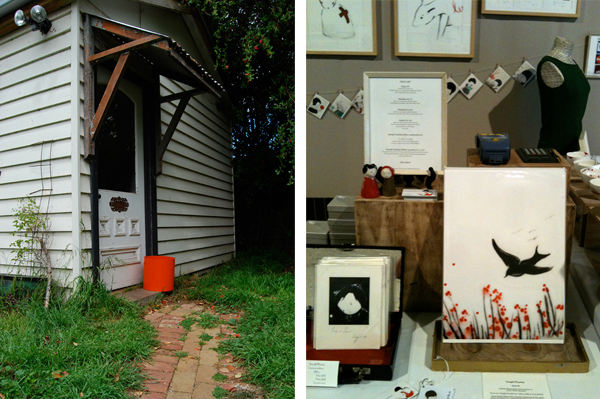 I have a weekly stall at the Rose st market in Nth Fitzroy in Melbourne. It has been invaluable in helping me grow my business and having the support of the other stall holders and getting instant customer feedback on your work is really helpful. What is your background and what led you to where you are today? 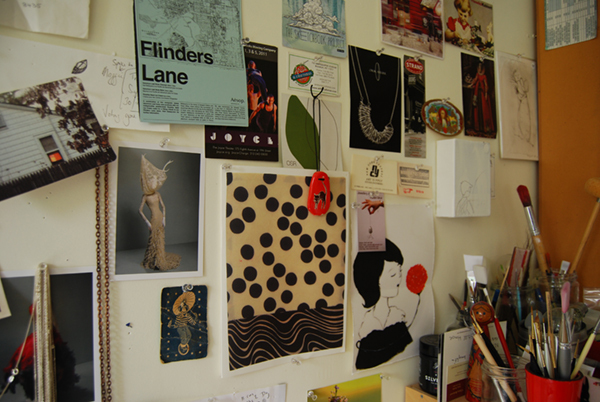 I studied photography and printmaking at RMIT in Melbourne in 1998. It was whilst working in the printmaking studios that I came up with the name of Linogirl. Though this was a number of years before it became to represent my current practice of painting on porcelain. How would you describe your illustration style and where do you draw inspiration for your work? I’m really not sure how I would describe my style of illustration. I’m really drawn to the works of illustrations in children’s books of the 1930-40’s. My grandparents used to read to my brother and I from Enid Blyton’s The holiday books. 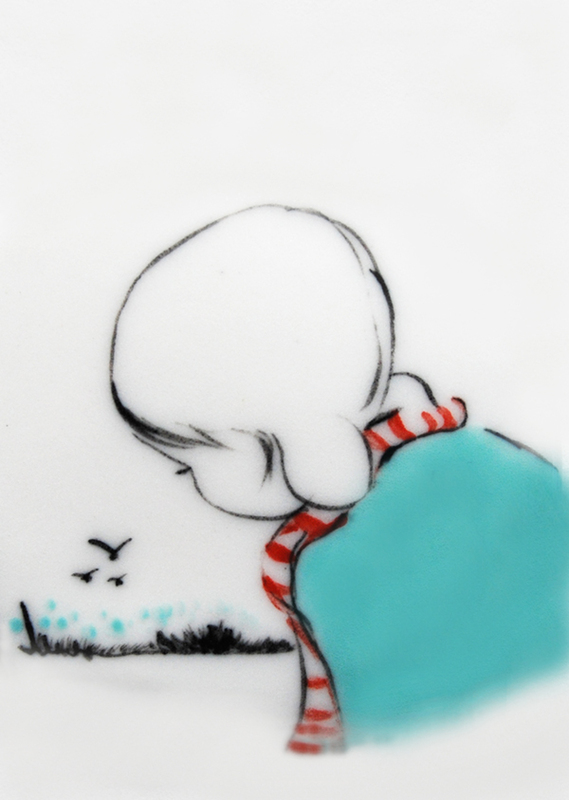 The illustrations where quiet simple with a single colour e.g red, blue…. 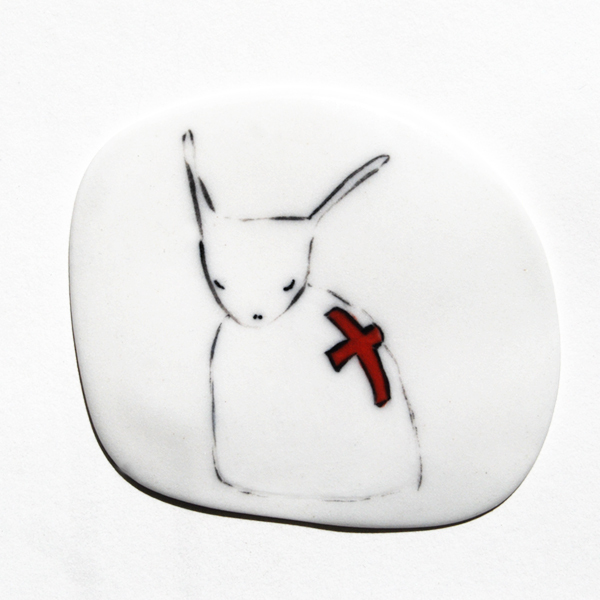 When I paint on the porcelain I work quiet instinctively I never do any pre drawing. My work evolves as I paint. I have a beautiful little studio in country Victoria, it’s very peaceful which I think is reflected in my work. What do you love about working with ceramics? I like the fact that it’s very forgiving of mistakes, you can easily just start again. Porcelain clay is temperamental though, but I like that. I started doing the gold and silversmithing at RMIT in 2002 with with an elective in ceramics. I realised that all too often when I was at the bench sawing or filing I would up and leave only to find myself in the ceramics studio across the corridor working on my clay pieces. I pulled out of the course, as even though I love object design I wasn’t in the right stream of study and I had to rethink what it was that I wanted to do. I didn’t go on to study ceramics though. What can we look forward to seeing in the future from Linogirl? I love having little projects and I’m working on two things at the moment. The first is a small self published book and I’m hoping to have that ready to launch in March next year. The later is still in the very early stages so stay tuned for that one but I will say it has more to do with my printed work!